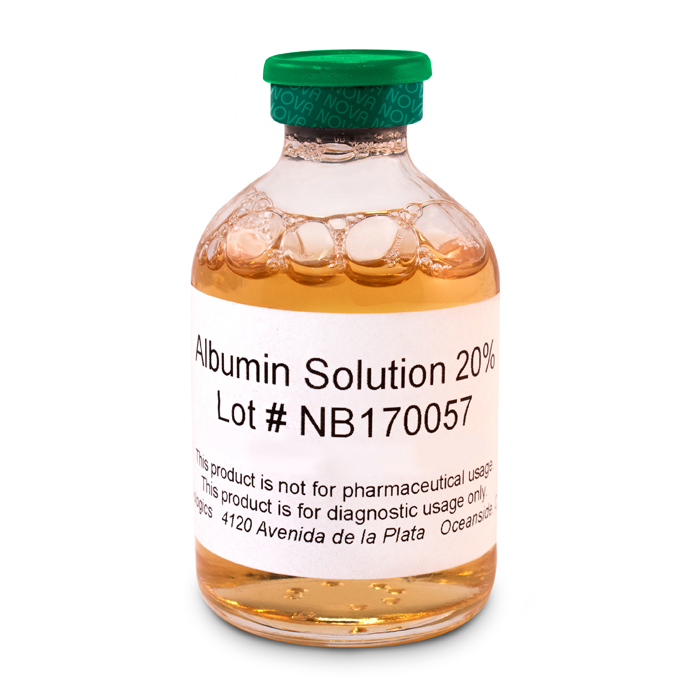 Human Serum Albumin (HSA) Diagnostic - Liquid - NOVA Biologics, Inc.
HSA is found in human blood and is the most abundant protein in human blood plasma. HSA transports hormones, fatty acids, and other compounds, buffers pH, and maintains oncotic pressure, among other functions. 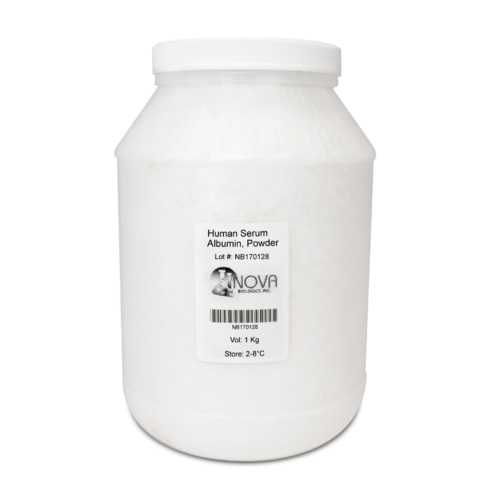 Our diagnostic grade HSA is appropriate for usage as a stable protein base, diluent, and in cell culture applications. Material is provided as a filtered bulk liquid, sterile filled, or as lyophilized product. Custom manufacturing available upon request. Contact us for evaluation samples.